Sound familiar? At least you’re not alone. David VanAmburg from the American Customer Satisfaction Index said he’s seen an uptick in strategies that help stores compete with the online space. So, what are these strategies? TODAY Style did some digging and found some of the most common tactics retailers us to influence shoppers … and how they use their wallets. Find original article at TODAY.com. Ever wonder why some fast-fashion retailers use a curtain to close the dressing room rather than a full door? Turns out, it’s all about speed. With less-expensive garments, volume is key so retailers want you in and out quicker. There’s a certain level of anxiety and vulnerability in curtain-covered spaces, but it’s not all Machiavellian. If your dressing room doesn’t have its own mirror, that’s on purpose. Retailers, specifically luxury retailers, may be using this as a method to force interaction with the sales team. A private moment instantly becomes public so that “you’re coming into a space with the sales associate where they can say it looks great (and) what it might go with,” Zyla said. You may have also noticed fewer mirrors on the actual sales floor. This strategy coerces shoppers to take items to a fitting room where it’s staged with better lighting and mirrors. Vertical lights along both sides of an angled mirror is another popular dressing room trend since it’ll make you look evenly lit and slimmer since the light brightens the face and body. “Generally, customers will only gravitate to areas that showcase well-lit merchandise,” said Uli Wagner from the Design Lab for Interior Architecture. Don’t be too surprised when you find yourself mindlessly walking towards that luxury handbag display that’s popping from across the department store! Next time you enter a store, consciously think about which side you gravitate toward. You might be surprised to find out that you’re being silently siphoned to the area where retailers are able to make the best margins from consumers. “Nineteen out of 20 people are right-handed so, intuitively we turn right as soon as we enter a store,” explained Mark Ellwood, author of “Bargain Fever: How to Shop in a Discounted World.” Retailers stash what they really want you to pick up at the right of the entrance. Have you noticed that most stores don’t have windows? It’s not an accident. What about those chaotic clearance racks? Retailers will sometimes intentionally keep a display messy to make items seem more desirable. “Having that messy area makes it clear where you are and creates a bit of a frenzy, and you may say, ‘I might find a great deal and value in this area,'” said Zyla. Most luxury clothing stores are carpeted with extra padding. “If you’re walking around, you tend to stay longer because it’s more comfortable on your feet,” said Zyla. Look for this specifically at designer shoe salons, where comfort is key to a sale. Electronics companies similarly employ the Goldilocks principle where they display items in trios since customers instinctively gravitate to the middle option. In fact, retailers buy most stock of the middle price point planning for this phenomenon, and it’s typically the merchandise with the best margin. “If you check the features between the cheapest versus the middle one, you’ll find they are basically the same,” Ellwood pointed out. There’s a reason prices typically end in 7, 8, 9 and 0. “Culturally, we have learned that nine is a standard ending and we don’t notice it much,” said Ellwood. When it doesn’t end in nine, we pay attention in a different way. Never let yourself be duped, warned Ellwood. Try this trick: Round the price up to 99 cents. Do you still have the same reaction? If not, it’s not a bargain. 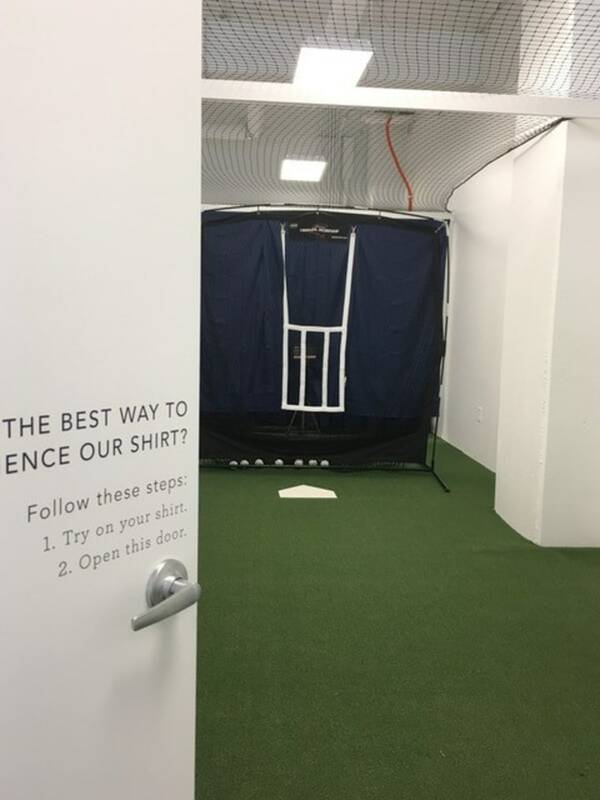 Retailers know the likelihood of conversion increases when shoppers go into fitting rooms. 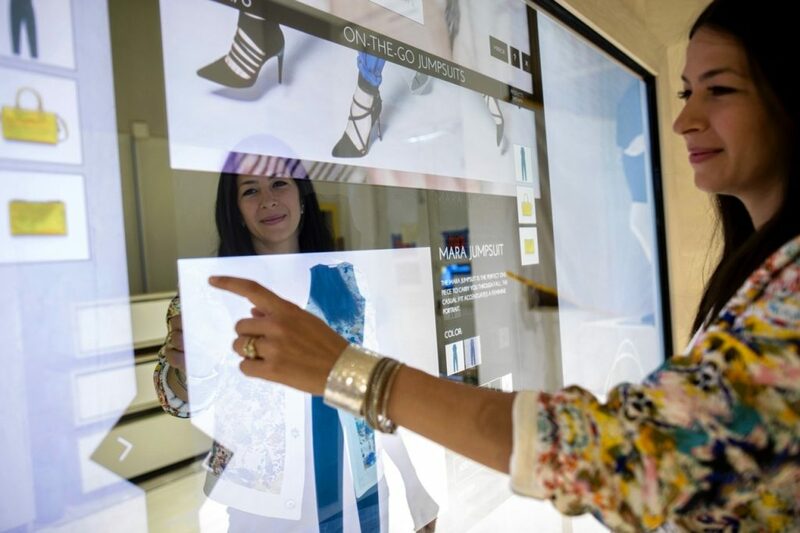 And the expected sales per shopper increases more than 50 percent for each trip into the fitting room, explained Ray Hartjen, director of marketing and corporate communications at RetailNext. “Retailers also know that if a shopper has to put back on their own clothes to go out for a different size or style, she’s not going back into the fitting room,” he said. 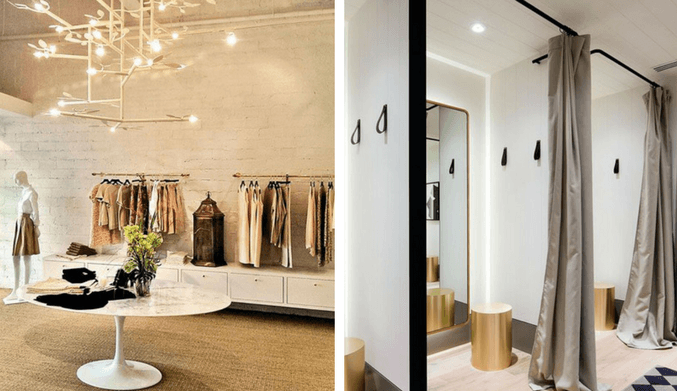 “Selfie-worthy dressing rooms are a key way to get customers to spend more time and to be brand ambassadors for a brand,” explains The Lion’esque Group‘s chief pop-up design architect, Melissa Gonzalez. Customers want to look good and share cool experiences. 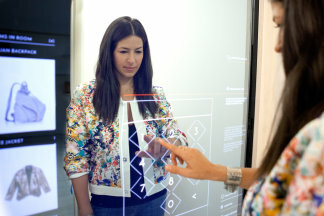 RFID-powered mirrors allow customers to seamlessly complete a look or request additional items be brought to a dressing room. 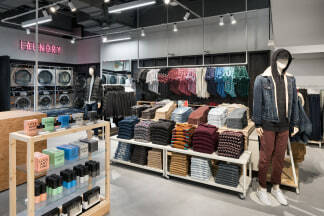 In the fall of 2017, American Eagle opened AE Studio in New York City where they offer denim customization, laundry services for students, a community event space and a living room to relax. “We are constantly testing new ideas to learn what our customer loves and see what we could roll out to other stores in our fleet,” said AE’s global brand president, Chad Kessler. If an associate physically hands you a garment, you may be more inclined to buy it because you’re now holding it. It’s a psychological tactic that’s been rumored to be used at retail stores. Most luxury stores prefer you don’t buy an item if you aren’t convinced it’s right. They theorize that every time you see it hanging in closet unworn, it’s a reminder of a foolish choice and you might blame yourself, the store or sales associate. That reminder may keep you from shopping there again.